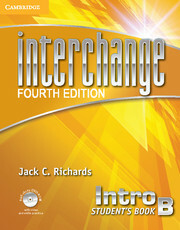 Student's Book B, Intro is the introductory level of the Interchange Fourth Edition series and is designed for beginning students needing a thorough presentation of basic functions, grammar structures, and vocabulary. Intro is based on the principle that low-level learning does not equal low-level thinking. 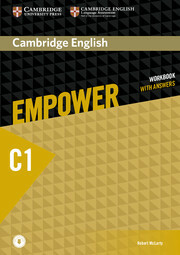 Student's Book B, Intro contains units 9-16, the second half of the full Student's Book, progress checks, additional Interchange activities, and a Grammar Plus section that provides additional grammar explanations and practice. Included is a Self-study DVD-ROM that provides the full class video and extra practice with vocabulary, grammar, speaking, listening, and reading.